US President Barack Obama has about 150 days remaining as president. He's pledged an all-out effort to pass TPP, Trans Pacific Partnership -- the highly pro-corporate trade deal. It is indicative that his final legacy is selling-out the citizenry in favor of rich & powerful corporations. His likely successor, Hillary Clinton, may be supportive of Obama taking the heat; she's even more beholden to big business, but needs to answer to the people over coming years, while Obama can just fade from sight as baby Bush has done. 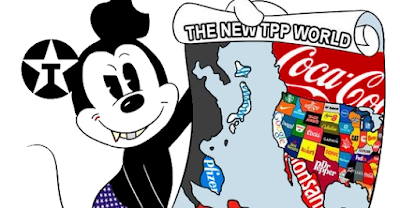 Joseph Stiglitz, Nobel Prize laureate, agrees the TPP push is Obama's great mistake (link). But it's only a mistake when seen from the perspective of the people represented... not a mistake from the narrow self-interest of money-grubbing politicos.